As a responsible person, you are required to prepare, inform, and aid those around you and your premises. Failure to abide by the proper rules and regulations can result in both fines and jail time. Some of the main safety responsibilities include the following. A responsible person must regularly carry out inspections to assess the fire risk of their premises, and, in the event of having five or more employees, must keep a written record of the assessment. The assessment includes, but is not limited to, identifying hazards and eliminating them when possible, identification of the proper emergency exits, and providing information and training to those in the building. A workplace or fire evacuation plan must contain (but is not limited to): an unobstructed path to all exits, clearly marked exits, enough exits for all people in the workplace, proper lighting and doors, and training for all staff and management. A workplace or housing complex must possess working fire detectors and alarms (different workplaces require different types of alarms), properly functioning firefighting equipment (such as fire extinguishers), emergency lighting, and frequent training so that all staff is comfortable with the equipment. Not only must you have plans and equipment for if a fire arises, you must also do your part to avoid a fire starting in the first place. Exposed electrical cords; damaged outlets, power switches, and power sources; fire-igniting items strewn about; and fire sources such as stoves, heaters, ovens, candles, etc. left unattended can all be the source of deadly and disastrous flames. A failure to implement proper fire safety precautions is not only illegal, but can result in tragic deaths. 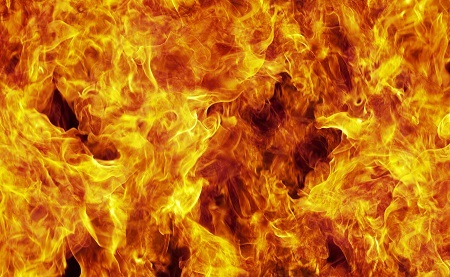 It is with painful regularity that one or more people die in an apartment or workplace fire because of fire alarms that do not work, escape routes that are inaccessible or unhelpful, improper protocol or training, useless firefighting equipment, or myriad other fire safety violations. Don’t let that happen to you or to anyone you know, anywhere you live or anywhere you work. Even if you escape physically unscathed, you will be punished. Items as simple as training a building manager in proper fire etiquette, or maintaining working batteries in all alarms are easy to do and will result in heavy fines and jail time should you fail. It’s not worth the risk, the danger, or the punishment to be ill-informed or a cheater when it comes to proper fire safety rules, regulations, and violations. This article was written together with Robert Tritter, an aspiring lawyer who looks forward to helping you get more informed about the law. He writes this on behalf of Mather & Stuart, your number one generator and ancillary equipment rental firm. If you’re looking for a company that doesn’t take shortcuts with getting you power, make sure to check them out. Next post: The Controversy Surrounding Field Sobriety Tests: Are They Reliable?